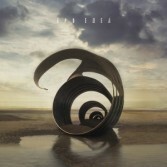 "Epo announce ""ENEA"", the new album released on March 1 for SoundFly. For the Neapolitan band is the fifth record, and hosts famous names such as Roy Paci to the wind and Rodrigo D'Erasmo (Afterhours) to the strings. The production is instead entrusted Daniele ""Ilmafio"" Tortora (Daniele Silvestri, Afterhours, Diodato) and characterizes the album with an international sound skilfully mixed with the Neapolitan tradition. ""For the new album we chose the ENEA title because it represented for us a journey almost 3 years long, started from the beaches of Lecce and ended in Rome, even if the heart of all this tortuous route was definitely Naples and its language. Choosing to use the Neapolitan for all the tracks was a chance that slowly turned out to be a new opportunity, the voice that instinctively tried to express itself with new sounds and became more ""instrument"", forcing us to re-invent ourselves as musicians. A white canvas and a new palette of colors. Hooray! Most of the pieces were arranged and played live and is a mixture of the most diverse inspirations: songs that combine Northern European sound suggestions with the sanguine vehemence of popular songs. From the Sigur Ros to La Catta Cinderella by Maestro De Simone. Stories of sailors lost at sea singing accompanied by tribal rhythms. Melodies inspired by the Pino Daniele of ""vai mo '"" joined to the drunken beat by Kendrick Lamar. """